In this article, I’ll list out some of the common issues with VPNs and ways to fix them. Fortunately, identifying and fixing a VPN connection is quite simple. Virtual private networks (VPNs) have a vast array of benefits, but they can also suffer from some very annoying problems. A non-functional VPN is infuriating, and a semi-functional one isn’t much better. When your VPN is slow, won’t connect, keeps disconnecting, or crashes, there are some things you can do to fix the problem. Let’s take a look. VPNs will always make your connection slower, but they shouldn’t cause a huge drop in speed. If your connection is so slow that it’s making it difficult to browse, it’s time to take action. If you’re on a free VPN, you’re almost certain to get pretty slow speeds on your connection. Understandably, VPN providers prioritize their paying customers. Even if they say their free VPN is as fast as their paid option, you might find that you disagree. There are plenty of affordable VPNs with respectively high speeds, and if you haven’t upgraded to one, we highly recommend it. You may see your speeds increase immediately. One of the most reliable VPN providers, we’ve found (out of 78 we tested) is NordVPN. You can read our full review of them here. The server you use for your VPN connection can make a big difference to the connection speeds you get. The closer you are to the server you’re connecting to, the better speeds you’ll get (in almost every case). You may also get improved speeds from servers that aren’t being used as much. Most VPN clients make it easy to change servers. Just open the client, select a new server, and confirm your selection. You can then run a speed test or continue browsing to see if the new server is running faster. The connection between your computer and the VPN server uses a networking port on your computer. You can think of this port like you would a physical port; your computer routes traffic from the VPN server to a specific port, and traffic from other places to other ports. It helps keep traffic from various sources separated. While you might think that every port is as fast as every other, you might be surprised to find out that occasionally changing the port your VPN is connected to will help. Some ISPs slow traffic on specific ports, and sometimes you’ll find that some ports are faster than others for no apparent reason. Try switching your VPN connection through different ports to see if any are faster. Most VPNs allow you to connect via Transmission Control Protocol (TCP) or User Datagram Protocol (UDP). TCP is more commonly used across the internet, as it includes error correction, so if there’s a connection problem or some of the data is corrupted, the transmission is still successful, and the sending computer knows to resend anything that didn’t arrive correctly. While OpenVPN is generally considered to be the best protocol for VPN traffic, there are sometimes when you may want to use L2TP/IPSec. While it doesn’t provide as much security and doesn’t have as many features, it’s also possible that it will slip by filters that slow down OpenVPN traffic. If you’re using the VPN for security or privacy, we don’t recommend using L2TP/IPSec if you can help it. If you’re just trying to get past region restrictions, it will work. But it won’t be as secure. Again, this isn’t something we recommend lightly, and if you can avoid it, you should. But if your antivirus program is scanning all of the outbound packets you send, it could be slowing down your connection. Disable it temporarily to see if it speeds up your connection. When all you want to do is get on the internet without being vulnerable to surveillance, censorship, or region blocking, a VPN that won’t connect is a big pain. Here’s what you can do to fix the problem. The simplest things are the easiest to overlook. If your VPN client isn’t connecting, try opening a website without connecting through a VPN to see if your internet connection is working. If it’s not, restart your router by unplugging it for 30 seconds and plugging it back in. If your internet is still down, it may be a problem at your ISP’s end. Check your VPN provider’s website, too, to make sure that the server you’re trying to connect to isn’t down. Every once in a while a VPN server will go offline for maintenance—or just because servers aren’t 100% reliable—and you’ll need to connect to another one or wait a while. In many cases, your inability to connect comes from a very simple problem: you typed your password wrong. Or you entered your email address instead of your username. If you’re getting an authentication error, it’s likely related to one of these two issues. Retype your username and password, and if that doesn’t work, try resetting your password and attempting to connect again. Again, try connecting to the VPN through a different port. Some ISPs and networks block traffic on specific ports, and that can deny your VPN connection request. Check your VPN’s documentation to see if it suggests or requires connections on specific ports. Sometimes the problem isn’t with you, it’s with the VPN. One of the best ways to check this is to join a different network. You can try a nearby public wifi spot, like a coffee shop or a grocery store, a friend’s wireless network, or a public hotspot. If you find that you can connect on the other network, you’ll know that it’s something about your own that’s causing the problem. Check your wifi and internet settings to see if you can find what’s keeping you from signing in. Possibly even more irritating than not being able to connect to your VPN is successfully connecting and then dropping out. Especially if it happens over and over. Here’s what to do. Sometimes the problem that causes you to disconnect isn’t with you, but with your VPN provider. If a server isn’t behaving normally, you might be disconnected. Try connecting to another server, preferably one close by, to see if you get a better connection. Sometimes certain VPN protocols will have difficulty keeping a strong connection. If you’re using OpenVPN (which we generally recommend), try connecting over L2TP/IPSec; if you’re already on L2TP, try OpenVPN. You could also try PPTP, though that’s less ideal. Again, we recommend sticking with OpenVPN whenever you can, because it’s the most secure of these three common connection protocols. If you can only use your VPN on L2TP, that’s not a big issue, but when at all possible, use OpenVPN. Changing from UDP to TCP (or vice versa), as discussed above, can also help. While it’s not common, it’s possible that something at the router level of your network could be causing connection difficulties that will kick you off of the VPN. Plugging directly into the cable jack with an ethernet cable may solve the problem. The issues often lies in a situation called “double NAT,” which can happen when you have one router behind another. This can happen if you have different routers for different devices or another router connected to your ISP-provided one. In short, you’ll need to enable bridge mode to make two routers work together. How you make this happen will depend on your router, so you’ll need to dig into the documentation. For a quick explanation of wifi bridging, check out this introduction from Lifewire. Occasionally, using a DNS server other than the default supplied by your VPN can help you stay connected. Many VPNs provide their own DNS services for additional privacy, but that can sometimes mess with your connection. 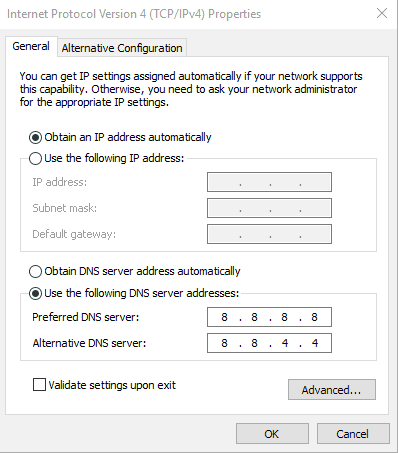 Each VPN will have different steps required for changing DNS servers. 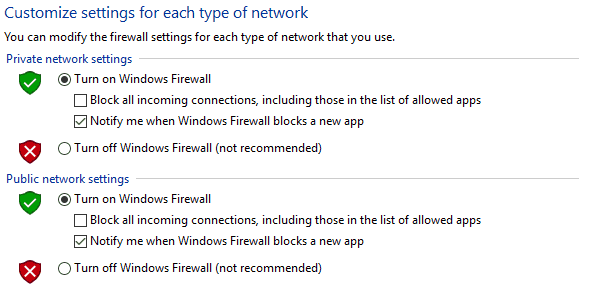 Many of them include options that say something like “Only use VPN DNS servers while connected.” You’ll need to turn this option off. Using other DNS servers might make you slightly more vulnerable to DNS leaks, but if you can’t stay connected long enough to get anything done, that’s probably a tradeoff you’re willing to make. Like any other software, your VPN client might crash. If this happens every once in a great while, it’s probably nothing to worry about. But if you’re getting crashes often, and it’s disrupting your browsing experience, you’ll want to take action. VPN providers work with developers to make sure that their software is as stable and effective as possible. If you’re not running the most current version, you might have some stability issues. If at all possible, allow automatic updates to your VPN software. Dig into your VPN client’s settings to see if this is possible. If it’s not, be sure to check for updates regularly. If you have a lot of other apps open, they can cause problems with your VPN client, especially if you’re using an older computer. Close anything that you don’t need. Sometimes turning it off and back on again actually does solve the problem. Restart your computer to make sure all updates have been applied and that erroneous processes have been killed off. If worse comes to worst, delete and reinstall your VPN client. If your VPN isn’t working, it’s in your best interest to solve the problem fast. It’s easy to get out of the habit of starting up your VPN every time you want to get on the internet. But that exposes you to more surveillance and security issues. If your VPN isn’t working, troubleshoot it immediately—you’ll be glad you did. If you’re still unable to fix your VPN connection, don’t hesitate to leave a comment and we’ll try to help! My VPN got connected to my client network but I am not able to open any links there. I have tried all this, but it won’t still connect. The VPN you’re using is simply too slow. I assume you are using Windscribe free? 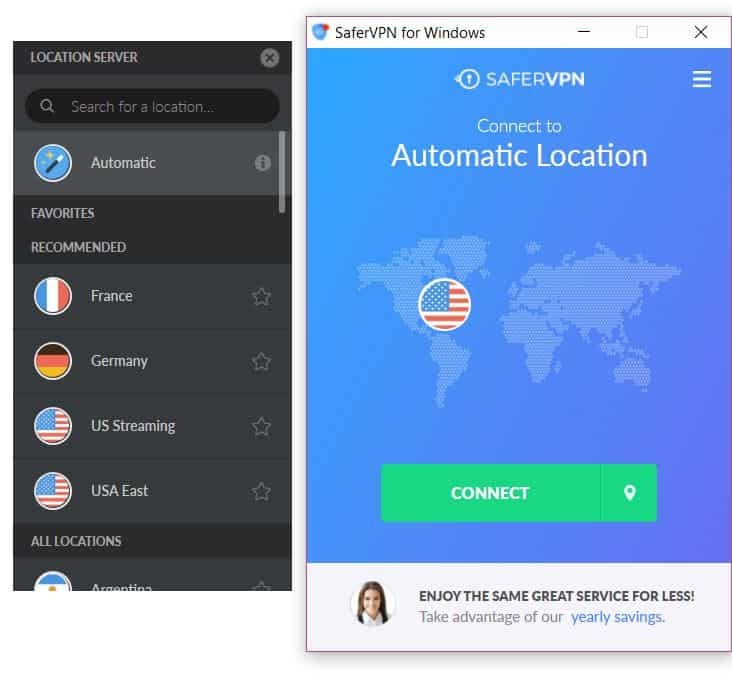 Have you tried NordVPN or ExpressVPN? Sometimes changing a VPN can help. my VPN is always telling me “trying to establish a connection” then it disconnects shortly afterwards. Hi, internet disconnects when I am connected to VPN and streaming another app while I have ethernet cable connecting my isp router to my android tv box…this doesn’t happen when I connect via wifi…why is this please? I use Trust Zone VPN, Windows 10 This is the error message that pops up. This never showed up until i recently updated the software. i uninstalled and reinstalled the software multiple times as well as restarting my computer, i went into ‘services’ and made sure it was running (it was), i tried restarting it as well as setting it to manual (which after looking at the description of the service might not have been a good idea but the problem persisted prior to regardless). Sometimes the Client actually opens, but as soon as i try connecting to a server, it crashes. Have you tried another VPN or contacted Trust.Zone support? I think you may have out-dated version of their VPN. We recommend changing it. That’s always an issue with free VPNs. Hence the reason we recommend avoiding them. I finally found the solution to my vpn connection problems. I have both Windscribe and VPN Unlimited. Both worked well while I was at home and using my Asus wi-fi but when I was sitting at McD’s or my favorite coffee shop, neither vpn would work on the unsecured wi-fi provided. Then I decided to disconnect from their wi-fi and turn on my cellular. Bingo! Both worked well and no disconnection. I have had to do this every time and have no problems with either. By the way, I tested both my FREE Windscribe and my premium VPN Unlimited and found that my upload and download speeds are both faster with my paid-up VPN Unlimited. Yes, I recommend having two VPN’s. Express vpn in the UAE is horrendous. Don’t even bother with it. Poor customer support as well. 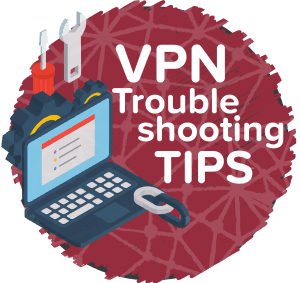 Changing your VPN provider can help solve a lot of common problems/errors.